Get 40% discount on Jewellery This Week! Offer condition: Excludes auction, homewares and clearance items. Offer ends 21/04/19, 23:59. Can not be used with cashback claims. Offer condition: Excludes clearance, auction and homewares items. Offer only applicable to items set in Gold, not including Gold plating. Offer ends 07/04/2019 at 23:59:59. Can not be used in conjunction with cashback. Do not miss another Gemporia voucher! 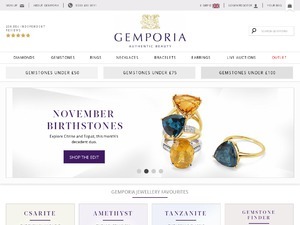 Simply leave your e-mail address and we'll always keep you informed of new vouchers for Gemporia. Offer condition: Excludes clearance, auction and homewares items. Offer ends on 01/04/2019 at 23:59:59. Can not be used in conjunction with cashback. Get 40% discount on Jewellery This Week at Gemporia.com! Offer condition: Code not applicable to auction, clearance, or homewares items. Can not be used in conjunction with cashback claims. Offer ends 17/03/19 23:59. Offer condition: Excludes clearance, auction and homewares items. Only applicable to Emerald, Ruby & Sapphire jewellery. Offer ends on 06/03/2019 at 23:59:59. Offer can not be used in conjunction with cashback. Offer condition: Not applicable to auction, clearance or homewares items. 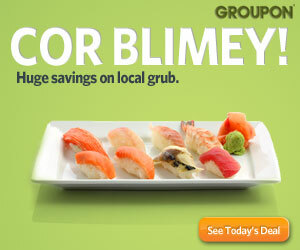 Can not be used in conjunction with any other offer, or cashback. Offer ends 03/03/2019, 23:59. Offer condition: Excludes clearance, auction and homewares items. Offer ends on 28/02/2019 at 23:59. Can not be used in conjunction with cashback. Offer condition: Excludes clearance, auction and homewares items. Offer ends on 14/02/2019 at 23:59. Can not be used in conjunction with cashback. Offer condition: Excludes clearance, auction and homewares items. Only applicable where Diamond is leading stone. Offer ends on 13/02/2019 at 23:59. Can not be used in conjunction with cashback. Offer condition: Only applicable to silver jewellery. Discount code can not be used in conjunction with auction items, homewares, or items marked as part of a clearance or sale. Can not be used with any other offer or promotion. Offer expires 10/02/19, 23:59 GMT. Cannot be used in conjunction with Cashback. Offer condition: Discount code can not be used in conjunction with auction items, homewares, or items marked as part of a clearance or sale. Can not be used with any other offer or promotion. Offer expires 30/01/19, 23:59 GMT. Cannot be used in conjunction with Cashback. Get 40% discount on Jewellery In Our End Of Year Sale! Offer condition: Code excludes auction, clearance, and homewares items. Cannot be used in conjunction with cashback. Expires 31st December 23:59 (GMT). Offer condition: Code excludes auction, clearance, and homewares items. Cannot be used in conjunction with cashback. Expires 19th December 23:59 (GMT). Offer condition: Excludes clearance, auction and homewares items. Only applicable to rings. Offer ends on 16/12/2018 at 23:59:59. Offer condition: Minimum spend excludes auction, clearance, homewares and postage. Offers end 9th December 23:59 (GMT) Codes can not be used in conjunction with any other offer or cashback. Black Friday Pre-Sale Event | 35% discount on Sitewide! Offer condition: Excludes auction, clearance and homeware items. Cannot be used in conjunction with any other offer or cashback. Offer ends 22/Nov 23:59 GMT. Offer condition: Excludes auction, clearance and homeware items. Cannot be used in conjunction with any other offer, or cashback. Offer ends 15/Nov 23:59 GMT.